While the breadth and depth of blockchain applications, trials and projects is expanding, there many challenges to overcome ahead. Download this ebook to understand the adoption and challenges of blockchain in leading industries. New complimentary Internet of Things eBook for 2018. 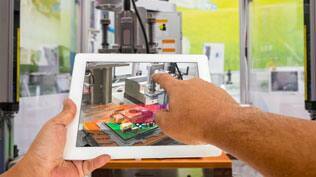 Market drivers, the changing industrial landscape and strategic considerations. Industrial companies are using IoT platforms as an integral part of their overall Industry 4.0 strategies. AI and machine learning integrations flourish as cloud services increase. A new paradigm that sees the unification of consumer and professional applications is on the horizon. Our analysts look across technology industriesm and provide critical insights detailing the top 8 trends that will shape technology. ECR 2018 Brief: AI – What is it? Augmented, adaptive or artificial? There was heightened buzz around the topic of AI at the 24th European Congress of Radiology, with many vendors citing the integration of data through AI as the next big trend – but what’s new? The emerging IoT movement is impacting virtually all stages of industry and nearly all market areas — from raw materials to production to distribution and even the consumption of final goods. 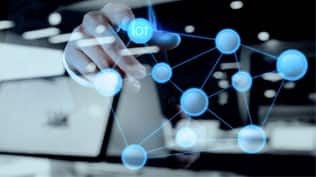 For Dell Technologies, IQT represents the marriage of IoT (connectivity) with intelligence or IQ in the form of analytics, Artificial Intelligence (AI) and Machine Learning (ML) to deliver the greatest benefit to organizations deploying IoT. The overall market for semiconductors used in IoT applications will grow from 32.4 billion units shipped in 2016 to 74.1 billion units in 2025—a Compound Annual Growth Rate (CAGR) of 9.6%. The scorecard focuses primarily on IoT Connectivity Management Platform (CMP) vendors, identifies vendors leading in that market and those best positioned to succeed long-term. One of India’s two state-controlled operators, BSNL, has entered into an agreement with Aeris Communications to offer packaged IoT solutions to enterprises, SMEs, public sector bodies and other segments in India. Over the past couple of years, SoftBank has entered into a range of partnerships to strengthen its ability to provision and manage IoT subscriptions and devices. ABB, a supplier of robotics, process automation, and electrification components, acquired B&R Automation, an industrial software and automation hardware company. What does the acquisition mean for ABB? To maintain interest and growth in smart home, industry players have had to be flexible. From offering a wide array of integrations and constant partnership updates, to being agile in retail and services. Texas Instruments (TI) announced enhancements to its SimpleLink microcontroller (MCU) platform. 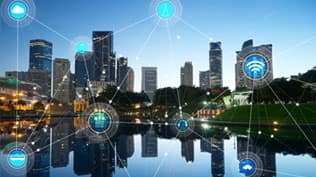 More than 20 billion IoT devices will be connected globally in 2017. To help companies understand the impact and opportunities across all of IoT, IHS Markit identified the major themes driving the IoT in an in-depth eBook. From edge computing and LPWAN technologies to 5G use cases and a showcase of Chinese telecom equipment vendor capabilities, analysts capture key takeways from MWC. China’s leading home appliance makers continued to strengthen their new development strategies by demonstrating various smart connected appliances for smart home market at the biggest exhibition for home appliances in China. Wondering How to Reduce the Complexity of Smart Home Platforms? Platforms that are the backbone of smart home, are meant to bring order but often only add to the chaos. The reason – fragmentation. 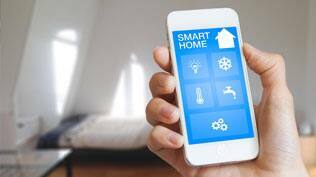 To help simplify the smart home, IHS Markit identified three types of platforms. ARM (a wholly owned subsidiary of SoftBank Group Corp.) announced its acquisition of two IoT wireless companies and the upcoming availability of NB-IoT Intellectual Property (IP) based on their technologies. Listen to a diverse group of representatives across the Internet of Things ecosystem discuss the biggest considerations of IoT technology. Watch IHS Markit analyst Bill Morelli and other industry influencers’ discussion with TIA NOW at MWC 2017. Heading into CES 2017, artificial intelligence and virtual assistants are expected to be featured strongly, especially smart speakers. Google’s Assistant is projected to lead in smart speaker shipments by 2020. The foundation for smart home was set in the last two years. 2017 will be a year of minor business model modifications, pricing adjustments, security enhancements and getting products and solutions out in front of the consumer. Driven by the IoT, the world market for smart lighting and connected lighting controls was valued at $6 billion in 2015, and is forecast to more than double in size by 2020. By establishing UNLIMIT as a dedicated Internet of Things unit, independent of the telecoms operator, Reliance Communications, Reliance Group is seeking to engender a nimble, start-up-like approach to developing an IoT business. 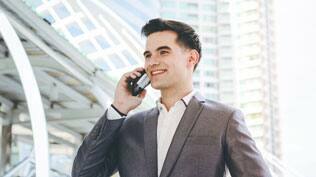 With telecom service revenues flat or declining, service providers are eyeing cars as a major source of new revenue. Real-world Network Performance Data and meaningful metrics to inform investment decisions. Deep vertical expertise coupled with a comprehesive view of the entire IoT ecosystem is unique to IHS Markit. The new Vertical Research Packages provide an unbiased holistic view, with a detailed focus on what matters most. The IoT Connectivity Research Package is designed for semiconductor and component suppliers trying to identify new opportunities across all of IoT. The Connected & Smart Home IoT Research Package is designed for companies that are looking to expand or establish a foothold in the smart home. The Industrial IoT Research Package is designed for any client (service providers, component suppliers, hardware or software vendors) interested in the IoT developments in smart manufacturing. The Personal IoT Research Package is designed for service and solution providers focused on consumer IoT. The Smart Buildings IoT Research Package is designed for hardware and software providers active in the building automation market. The Smart Cities IoT Research Package is designed for solution providers (hardware, software) interested in smart cities and related area.